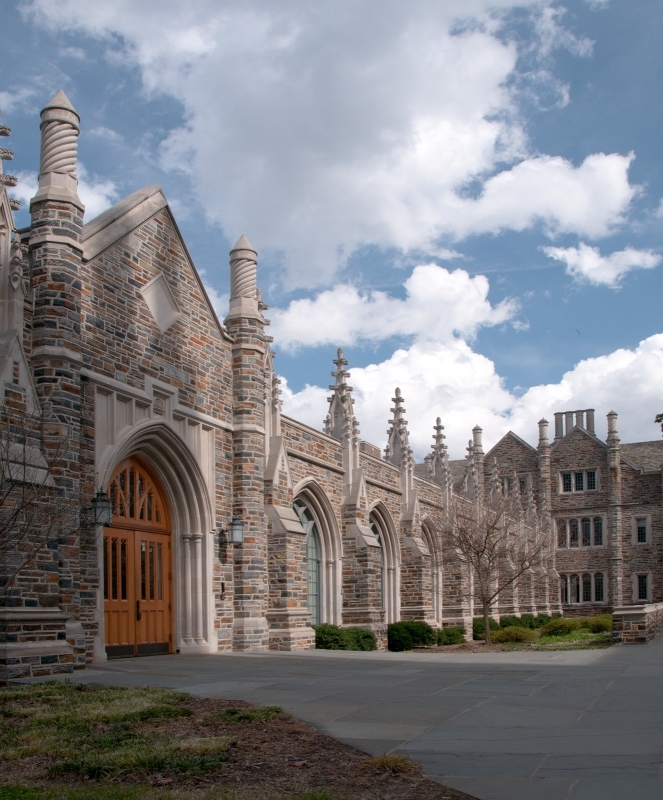 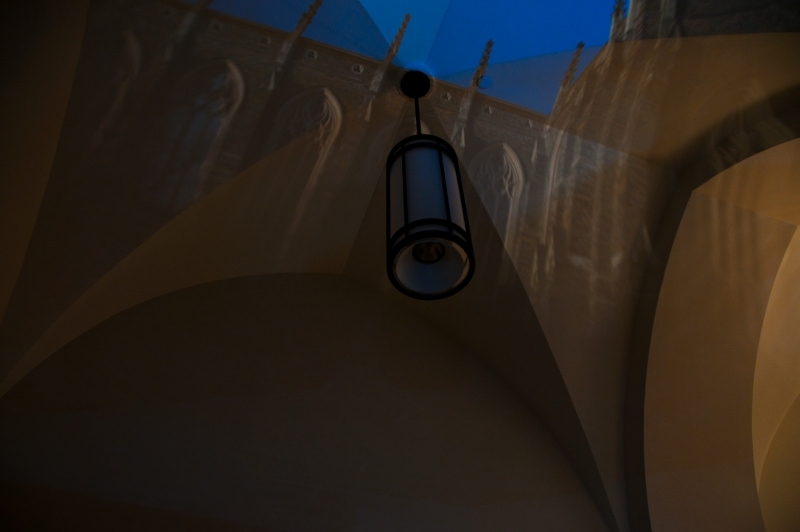 The hundred foot long cloister-inspired hallway at the Duke University Divinity School was transformed into a 24-aperture camera obscura work that put the iconic Duke Chapel onto the cross-vaulted ceiling and projected gardens and passers-by onto the long opposite wall. 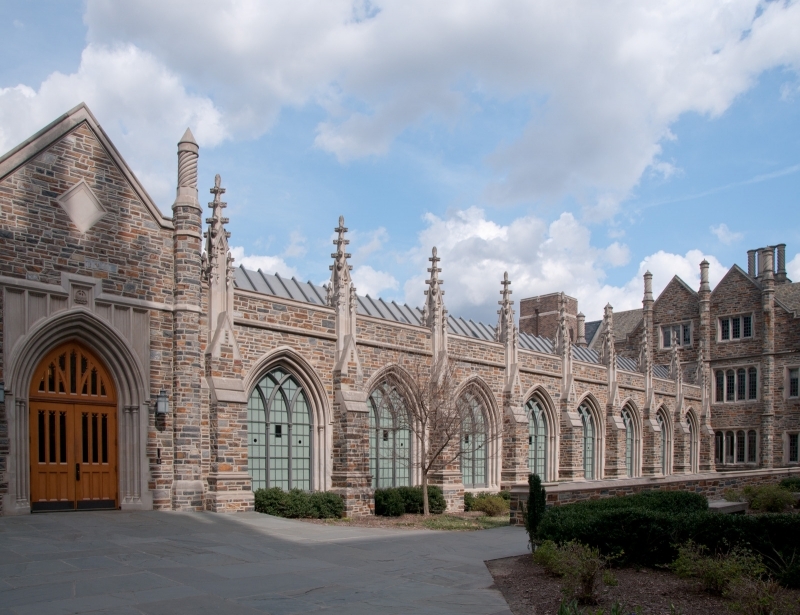 Changing radically throughout the season and the day, the work offered sky-and-architecture views warped by the gothic arches of the ceiling vaults and syncopated panorama-like views of the chapel’s stained glass window bays, vegetation, and pedestrian traffic. 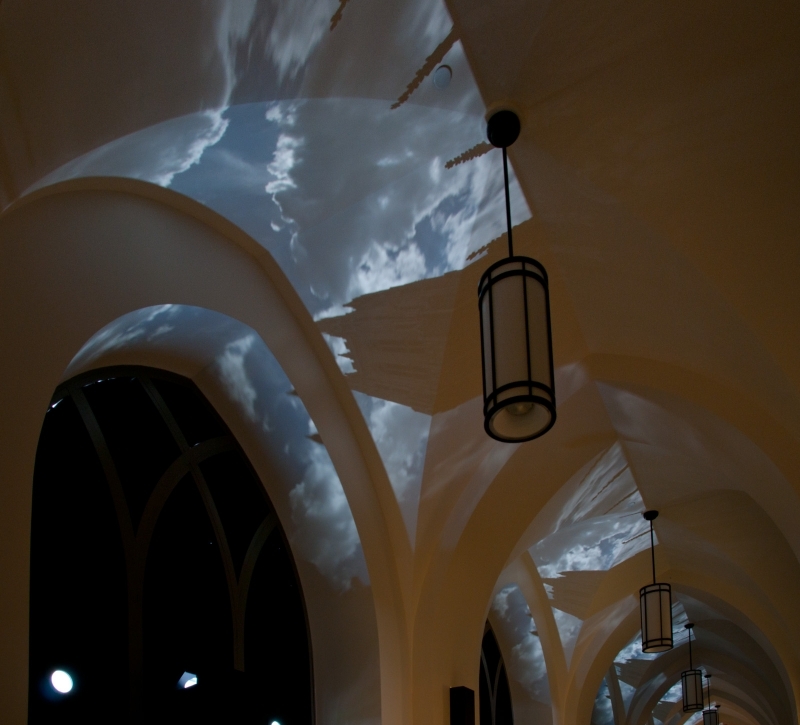 The spectacle was powered only by natural light– no electronics, projectors, or video created the effects. 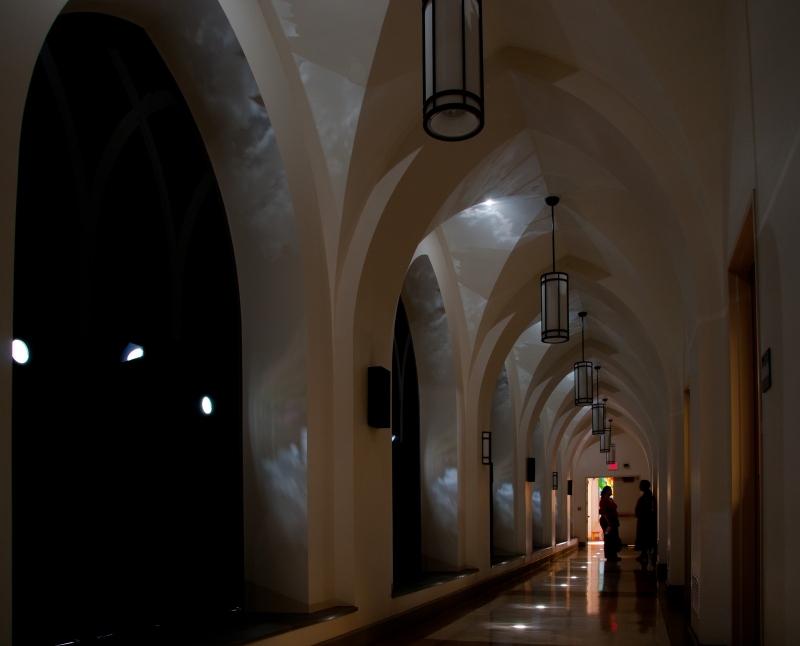 The light of the world itself painted a moving, changing scene on the interior of a passageway used by hundreds of students and faculty each day, offering an opportunity for quiet reflection and wonder at the perceptual expansiveness. 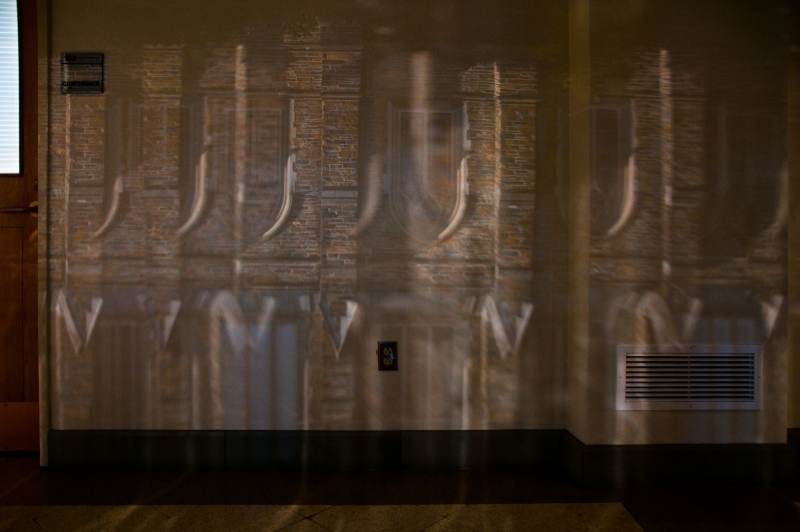 Jackson was interviewed during the exhbition. 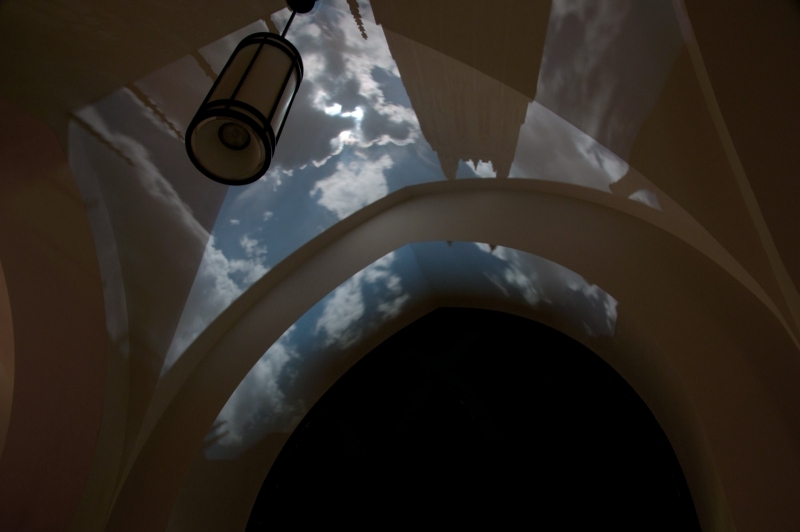 In the second video linked at right, he talked about his process and objectives in this and other projects in Architectural Optics, speaking of perception, physiology, and experience in his unique visual installations.